Serhiy Artyukh busted on receiving 700 thousand hryvnya. 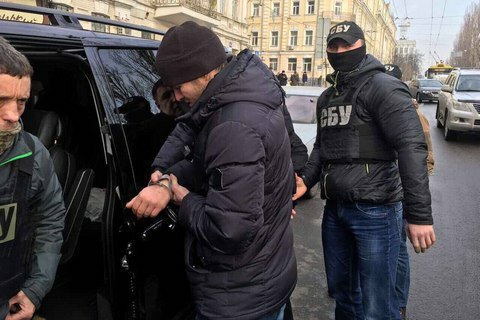 Prosecutor General's Office and the SBU detained on Friday the head of Fund for Social Protection of the Disabled Persons under the Ministry of Social Policy during the reception of a 700 thousand hryvnya bribe. Artyukh was about to receive the money from the director of a regional branch of the Fund. The law enforcers believe that the sum was a 10% kickback of the funds allocated to the region within a program of social support to persons with disabilities, Prosecutor-General Yuriy Lutsenko wrote on wrote on Facebook on 17 February.